The major labels have long pushed for variable pricing at iTunes, and they finally got it. 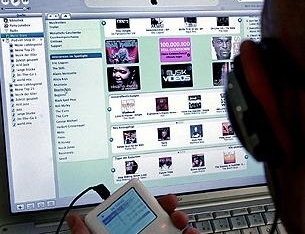 According to reports, Apple negotiated a with the labels to remove DRM from their tracks in exchange for a tiered pricing plan with "less popular" songs at 69 cents and up to $1.29 for current chartburners. The new scheme kicked off with little fanfare from Apple on April 7. [UPDATE: Check out this article by Glenn Peoples of Billboard about how the price changes are affecting sales ranking. summervillain: much less difference to me than removing DRM. But sounds like it could benefit the long tail? bryanvargas: iTunes is already a bad deal. Emusic & Amazon are much better options. Disasterdisastronaut: iTunes is last port of call if I'm really, really desperate - after hypem, napster, ping.fm etc amazon move 1st of many! We hope that last tweet was tongue-in-cheek. This informal, completely unscientific survey indicates that some folks aren't big iTunes customers to begin with. This is interesting, because not long after we asked the question of our tweeps, we caught wind that other digital music retailers "namely, Amazon, Lala, and Rhapsody" are moving to a variable pricing scheme, too. So we might as well ask again: what do you think of variable pricing for digital downloads, and will it influence your purchases?